How much is a good school district worth? How much is a school district worth both living and working? How much is a school district where the child has entered the prestigious school threshold? The location is always the winner! As we all know, North Sydney is the most mature and prosperous community on the lower North Shore of Sydney. It is a rare place to be across the water from the Darling Harbour and an increasingly diverse way of living and living. The ancients often said: the winner of the game, good at taking advantage of time and place. Therefore, when the quality of education in prime locations, the amount of gold will also add to the icing on the cake. Therefore, a good school district is like a child’s future protection, and the future is priceless! Cranbrook school, Bellevue Hill A student’s annual tuition is $32,788. The Scots College, Bellevue Hill One student’s annual tuition fee is $33,098. Meriden School A student’s annual tuition fee is $27,315. In addition, the various tuition and fees from the 1st to the 12th grade are about a total of 400,000-500,000 Australian dollars. And a good school district room can help you save at least $500,000 for your child to get into the train. According to the Sydney Morning Herald report in 2012, an Australian local parent took a $2 million budget to buy a house in North Sydney. Just to let the children enter the school district of North Sydney, what school is so attractive? Since its inception in 1952, the school has been cooperating with the University of Sydney School of Education, and there are only three teacher demonstration schools throughout New South Wales. Therefore, this school has always been a must for parents with strength and education, and choose to live nearby, because only living here is eligible to enter this prestigious school. Designed by Sydney’s oldest designer, PTW, PTW’s previous projects include Lumeire, Barangaroo and the Beijing Water Cube. 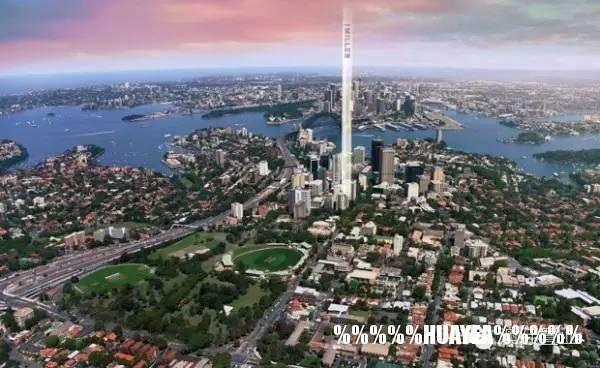 This time, I will build the next North Sydney landmark in North Sydney. There are well-equipped hotels downstairs where residents can enjoy the facilities and services of the hotel. To sweep away the fatigue of the day, it is better to sweat in the gym in the building. The intelligently optimized treadmill and various instruments give the body full care and decompression.